Although I am a trout fisherman and this blog is mostly about trout fishing, a little story of something, as Monty Python would say “Completely Different”. A story about little Oscar and his imminent release from captivity..
Down along the Cornish coast, on the banks of the Camel Estuary is the town of Padstow, renowned for its picturesque fishing village views, safe harbor and more pasty shops than you could wave a stick at. Although some of the fishing industry remains, the place has been transformed (as a Cornishman and fisherman I have to think sadly so), into a tourist centre, with those pasty shops, boat rides and yachting now taking precedence over the traditional pursuits of lobstermen, mackerel fishermen and such. Still it isn’t a location without charm or for that matter a long list of historic tales to tell. 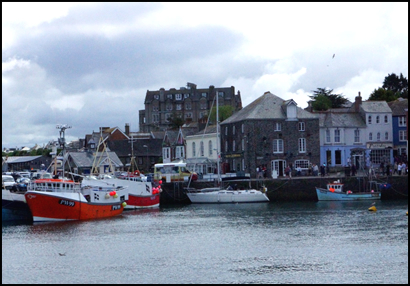 The harbour was at one time a thriving hub of fishing and import, catering for both local fisher folk and vessels from further afield. In particular ships bringing timber from Canada and offering passage to emigrants on the return trip. One interesting tale or perhaps it would be better said to be legend, revolves around a particularly nasty sandbar which “guards” the harbour and which accounted for many shipwrecks, particularly in the age of sail. 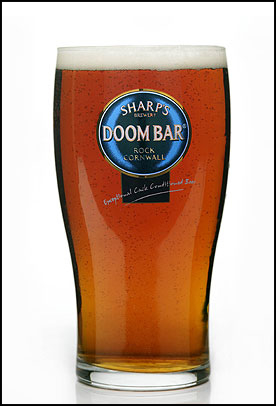 So then you may well imagine that with prospects of fishing, pasties and local beer it didn’t take too much arm twisting to have me heading towards Padstow on a recent visit to my erstwhile homelands. Although in reality it wasn’t the mackerel, alcohol or foodstuffs that drew me as much as a desire to visit the “Padstow National Lobster Hatchery”, which is situated on the estuary banks and which serves to redress the imbalances of overfishing of lobster, habitat degradation and such, by hatching out and releasing baby lobsters back into the environment. Now I am at heart something of a conservationist and such enterprises hold a particular fascination for me it must be said. The National Lobster Hatchery, is housed in a rather unimposing building and to start with the place looks far too small to be producing any significant numbers of lobster, so it was enlightening to visit and understand a bit more about how they achieve their goals. The first surprise is that you don’t need many female lobster to produce a lot of young, a female lobster can produce some 20,000 eggs of which in the wild one would be fortunate enough to reach maturity. 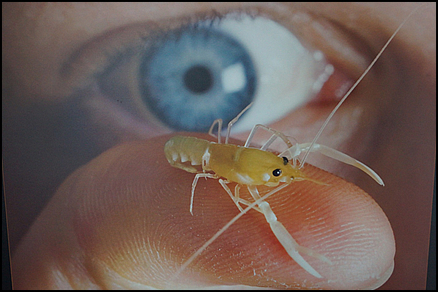 In the wild the baby lobsters, larvae really, are so vulnerable that they would have less than a one in a hundred chance of getting past the first few weeks or so of life. In the hatchery, with constant monitoring and careful husbandry including their very own space after a week or two (to avoid the aggressive babies doing each other harm) the success rate leaps up to over 40%. In fact they only need to be held in captivity for around three months before they are ready to settle down, those first few months of being pampered have a huge impact on the baby’s chance of survival to adulthood. The role of the hatchery however isn’t simply about producing pampered baby crustaceans, it is also about changing public perceptions and education, particularly of the youth in terms of sustainable practices, particularly related to fishing. There are some most interesting video’s on how lobster and crab traps work, how they can be improved to avoid unwanted by-catch or damage to the animals caught. They also are leaders in lobster breeding research and the NLH is now a recognized international authority on lobster and lobster breeding programs. The NLH is also involved with various studies on survival rates, tagging and even the creation of artificial habitats. It was all interesting stuff. Actually baby lobsters are remarkably cute. It is something of an anathema that on leaving the National Lobster Hatchery one can wander a few yards across the carpark and get to eat one of Oscar’s larger cousins at Rick Stein’s restaurant, but at least I know that before he potentially ends up on a plate, Oscar might just sire another generation of babies and if they are lucky, they too will get hatched out in the relative comfort of the NLH and have a better than average chance of survival, just like their dad. One of the really great initiatives from the NLH is their “Buy One, Set one Free” program which actually works with restaurants and gives patrons the chance to donate towards the nurturing and release of a lobster when they eat one. That might sound a bit grim but it provides restaurateurs with a way of demonstrating their commitment to sustainable use of seafood whilst at the same time helping the NHL to do their work. 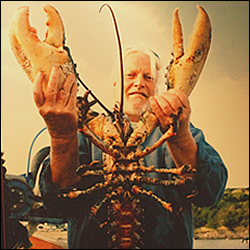 Plus it offers at least a nominal “feel good” factor for those enjoying chomping down on Oscar’s relatives..
You too can adopt a lobster, click on the image below. Watch a video clip about the NLH.